This is the second in our series on serving probation in Arkansas. Our last post provided an outline of the common requirements of a probationer. Violating probation is much easier than you probably think. The terms and conditions are numerous and serving probation can be like living under a microscope. If your probation officer believes you have violated probation then he or she will file a petition with the court requesting revocation you have to appear in court. Sometimes your probation officer will place you under arrest and you will appear in court while in custody. It is important to contact an Arkansas criminal defense lawyer as soon as you are aware you are facing a violation. If your lawyer is aware of a possible violation early then he or she can gather mitigating information to present on your behalf. These items include statements from family and friends about your efforts to improve your life, records of attendance in programs, and work records. It is a good idea for probationers to keep a folder of items tracking their improvement. Keeping the information easily available is beneficial if it is necessary in court and is also a good motivating tool. Whether or not to petition the court for a violation hearing under these circumstances is entirely up to your probation officer. This is why it is important to maintain a good relationship with your PO. Often, POs will be more lenient with probationers in whom they have faith. For example, if you are working hard on your sobriety and keep in good contact with your PO then they may overlook a few dirty tests. In this way good communication with your PO is key. It is also important that your PO can find you. Be sure to update your address and phone number regularly. Conversely, if you miss appointments, do not keep in good contact with your PO, or do not have a good attitude about supervision, your PO may violate you for minor infractions. If police agencies suspect that you committed a new crime they will submit their investigation both to your probation officer and to the Prosecuting Attorney. The prosecutor then decides whether to file new charges in addition to alleging a probation violation or whether to just to proceed on a violation. If charges are filed then you face the possibility of essentially being punished twice for one bad act. You face a potential additional sentence on the new charges and also a possible prison term for the offense on which you are serving probation. You can be found in violation of probation without being convicted of a new crime. At a hearing the burden of proof is a preponderance of the evidence. This is unlike a jury trial at which the standard is proof beyond a reasonable doubt. Additionally, it is possible for a judge to hold a probation violation hearing before a jury trial and you could be sentenced on the probation case before your trial on the new crime is ever heard. This is a coercive method judges use to try to force plea agreements. The potential sentences for your probation violation and your new case add up to a total prison term that the court could impose. 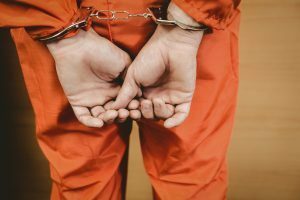 Our experienced Little Rock criminal defense attorneys understand that this can feel incredibly unfair and are here to defend you and guide you through the process. We take a collaborative approach to your defense and can help you obtain the best outcome. We also serve Fort Smith, Fayetteville, Springdale, Jonesboro, North Little Rock, Conway, Rogers, Pine Bluff and the rest of Arkansas.